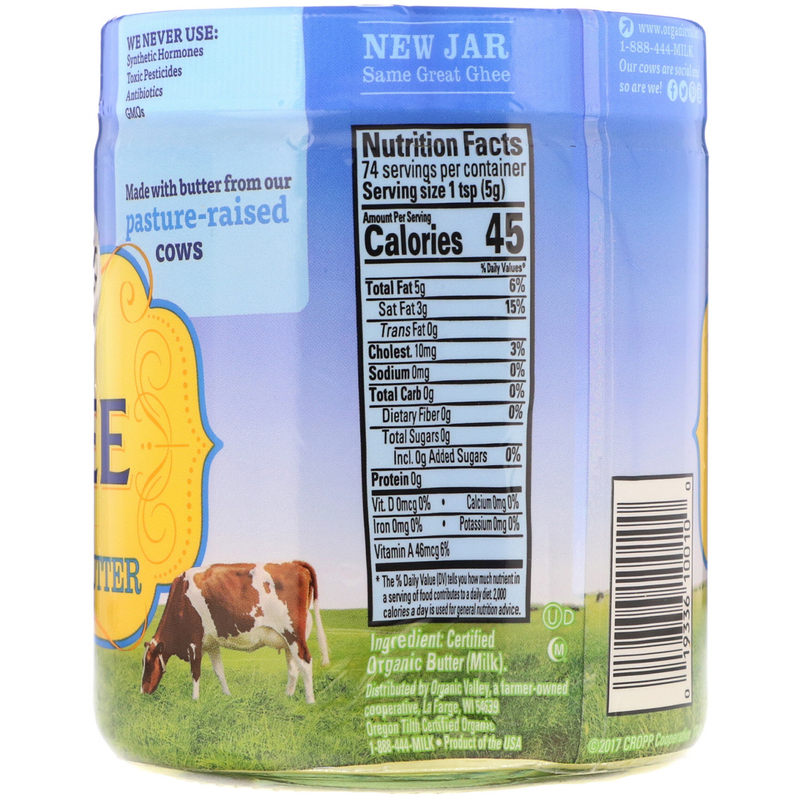 Honoring a traditional Indian method, pure Organic Valley butter is slowly cooked to coax out the milk solids and excess water while preserving the nutritional benefits of pasture-raised organic butter. What remains is delicious ghee with a rich, buttery taste and aroma. 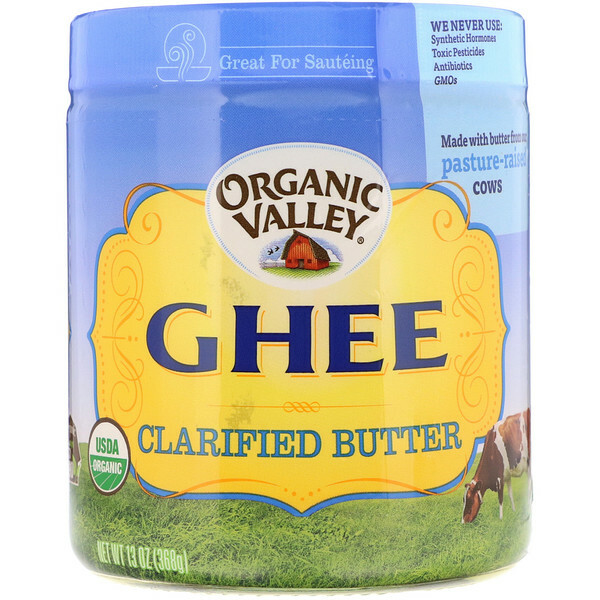 Use our ghee just like you would use butter. It's great for baking, as a topping for vegetables, toast or pancakes and it has a higher smoke point than butter so it's great for high-heat sautéing. We never use: Synthetic hormones, toxic pesticides, antibiotics, GMOs. No need to refrigerate. Store in a cool, dry, dark place.